I am very honoured to have Dr François Grosjean on my blog today, interviewing Eva Hoffman, author of Lost in Translation, originally for Psychology Today. A huge thank you to Dr Grosjean for sharing his interview! Professor Grosjean received his degrees up to the Doctorat d’État from the University of Paris, France. He started his academic career at the University of Paris 8 and then left for the United States in 1974 where he taught and did research in psycholinguistics at Northeastern University, Boston. While at Northeastern he was also a Research Affiliate at the Speech Communication Laboratory at MIT. In 1987, he was appointed professor at Neuchâtel University, Switzerland, where he founded the Language and Speech Processing Laboratory. He has lectured occasionally at the Universities of Basel, Zurich and Oxford. In 1998, he cofounded Bilingualism: Language and Cognition (Cambridge University Press). His domains of interest are the perception, comprehension and production of speech, bilingualism and biculturalism, sign language and the bilingualism of the deaf, the evaluation of speech comprehension in aphasic patients, as well as the modeling of language processing. Back in 1989, Eva Hoffman published her first book, Lost in Translation, a memoir about immigration, language loss, second language acquisition, and discovering a new land and a different culture. Her autobiography was to have a worldwide success – the Nobel prize winner Czeslaw Milosz called it “graceful and profound” – and it helped launch a new genre, the language memoir. To celebrate this blog’s fifth anniversary, it was only fitting that we should ask Eva Hoffman if she would answer a few questions. She very kindly accepted to do so and we wish to thank her wholeheartedly. More than a quarter of a century has gone by since you published Lost in Translation. How do you consider it now after all these years and the success it has had? Occasionally, I’ve had to go back to it and reread parts of it – and I find that I have a double reaction: One is to wonder who wrote it; and the other is to think, “This is pretty good.” The success of the book was initially entirely amazing to me. When I was writing it, I didn’t know if it would be published, or whether anyone would understand, or care about, the experience I was trying to describe – the internal journey involved in emigration, and the process of translating yourself into another language and culture. But since then, of course, emigration and other cross-national movements have become one of the central phenomena of our time; and it seems that I identified something about that experience which many others understand — perhaps in part, because I was writing about it innocently, so to speak; that is, by trying to capture my own perceptions as directly as possible, without thinking about previous literary models, or worrying about the book’s reception. What can I say, I was lucky. Today’s interview is with a person I have never met with in real life but I feel we have known each other forever – Doug Peterson! 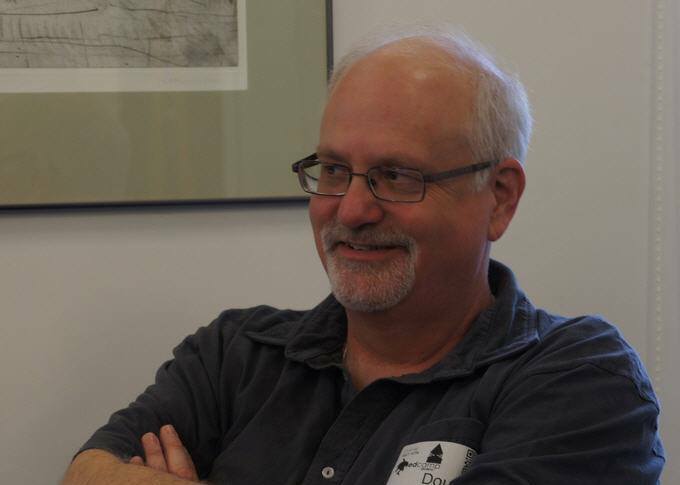 I am thrilled to have Doug on the blog for many reasons. Doug is an educator from Amherstburg, Ontario Canada. He is a sessional instructor at the Faculty of Education at the University of Windsor. He has taught Data Processing, Computer Science, Accounting, General Business Studies, and Mathematics at the secondary school level and was the Director of Business Education at Sandwich Secondary School in Lasalle, Ontario. He was also a Computers in Education Program Consultant with the Greater Essex County District School Board and before that, the Essex County Board of Education. In the middle of all this, he managed the Information Technology Department for the Greater Essex County District School Board. Most recently, he is teaching the Computer Studies teachable option at the University of Windsor. His formal education includes a Bachelor of Mathematics degree from the University of Waterloo and a Bachelor of Education degree from the University of Toronto. Ontario Ministry of Education and Training qualifications are in Data Processing, Computer Science, Accounting, and Mathematics. Doug and I have collaborated on a number of occasions, either blogging or exchanging information on social media. I have learnt so so much from him and I really love his blogging skills! Doug can come up with a new blog post practically every day, and each time it is interesting and definitely worth reading and learning from. You can read more on his blog, Off the Record. Thank you so much, Doug! And here is the link to the interview Doug and I had on his blog two years ago. Our February interview is HERE! This time, with a great educator from Thessaloniki, Greece – Vicky Papageorgiou! Vicky and I met in person last year for the first time and she is the amazing generous person you can see on social media, engaging every day and sharing great content. 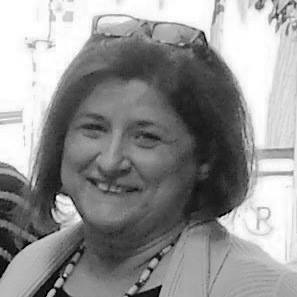 Vicky Papageorgiou is a foreign language teacher (English, Italian, Greek) with approximately 20 years of experience with mainly adult learners. For over 15 years she has been preparing students for English language exams of various exam boards. She holds an MA in Education (Open Univ. of Cyprus) and an MA in Art (Goldsmiths College, UK) and she is currently studying at University of Wales Trinity Saint David for her PGCE in Technology Enhanced Learning. She studied in Greece, Italy and the UK but also participated in an international project for the McLuhan program in Culture and Technology for the University of Toronto, Canada. Her fields of interest are Inquiry-Based Learning, ESL and Art, translation, use of video. She is currently based in Thessaloniki (Greece) working as an Adjunct Lecturer at AMC College for the past 5 years, preparing students for IELTS, teaching ESP and General English. It has been quite a while I have wanted to interview Dimitris Tzouris, a great educator in Thessaloniki, Greece. Dimitris does great things with technology in education. We initially connected on Twitter five years ago and then on other social media. Last March we finally met in person. And today, our first interview! Here is our interview on a Google Hangout we did – and many thanks to you, Dimitris, for the interview, for everything you teach us every day, for being a great example of a learner (and for helping me with the Google Hangout!). December 10th is my third blog birthday! I decided to pay a tribute to three new bloggers, to celebrate my three years of blogging! First of the three, Dinçer Demir – an educator from Turkey, that I was fortunate to meet in person last weekend at the YTU 1st ELT Conference. Vicky: Dinçer, thanks so much for accepting to give me this interview for the celebration of three new bloggers and the third birthday of my blog! Dinçer: You are welcome Vicky. Actually I want to thank you because it is an honor for me to have an interview on the special anniversary of your blog. Vicky: It’s an honour to have you on the blog. Can you tell us a few things about yourself and your work? Dinçer: I am a 27-year-old teacher, who has been teaching for more than 5 years. I am from Turkey and I live and work in İstanbul. I am teaching English to both young learners and teenagers. In addition to these, I have had experiences of teaching English for communication to adult learners. Vicky: How did you decide to pursue a career in education? Dinçer: At the very early stages of my education career, I was not so sure if I wanted to be an educator. During university, I started to discover myself and my skills and I thought that this was my job. Today I see that I was right. I feel like I was born to be an educator, because I enjoy teaching, I like being part of a changing process, I like learning. So I can easily say that I don’t work, I do my hobby. Vicky: That is great! You teach primary school children. What do you enjoy the most working with these ages? Dinçer: In my opinion, teaching young learners is more difficult than teaching adults. What makes a teacher tired is classroom management and keeping students engaged. However, my experience shows that young learners learn easier and faster. As a teacher, you can be more motivated with them when you get results quickly. Vicky: You are active both on Twitter and Facebook, connecting to many educators. How does this reflect in your work? Dinçer: You are right. I am an active social media user. At the beginning of my social media life, I used to use it just to socialize. However, I use these tools to learn and share, especially Twitter. Thanks to Twitter, I have broadened my vision, I have realized different points of views, I have seen many best practices. To sum up, it has changed my way of teaching and learning. Vicky: There are several educators who would like to connect with other educators, but are a bit wary of social media. What would you advise them? Dinçer: It is impossible not to grant them right. But every field may be a bit risky if it is not used accordingly. I want to highlight that especially Twitter (not Facebook, because it may include much private content) is a great tool to refresh themselves and enter into a huge sharing world. Maybe they can be more careful about who they follow and who follows them and they had better not share private information about themselves. Vicky: Can you share one of the best moments in your teaching so far? Dinçer: There are lots of them, of course. It is hard to choose. If I have to choose one, I prefer a theatre event in Şanlıurfa (in the south east of Turkey). I was doing my military service in Şanlıurfa as a teacher. I was teaching 4th grade. The city is not one of the most developed cities of Turkey. But we, me and my students, managed to perform Snow White and the Seven Dwarves (in English) in spite of inadequate opportunities. Their effort was unforgettable for me. Vicky: You are a new blogger with new and fresh ideas. What inspired you to enter the world of blogging? 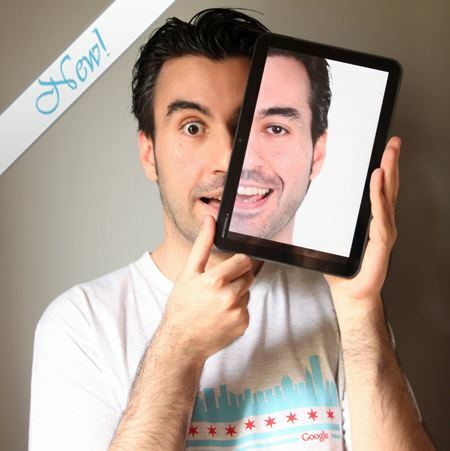 Dinçer: My first serious attempt at e-learning was an online TESOL Certificate Course. After I had completed the course, I liked e-learning. Afterwards, I have started to search about this and I have found lots of great inspiring blogs. So I have been a blog reader and follower for a long while. Finally I thought that I was ready to make a start on blogging and I did. As long as you keep blogging, that means you keep learning. The idea of learning forever inspired me for this. Vicky: Thank you so much for sharing your insights, Dinçer and I wish you all the best! Dinçer: Happy for this, thanks a lot, dear Vicky.